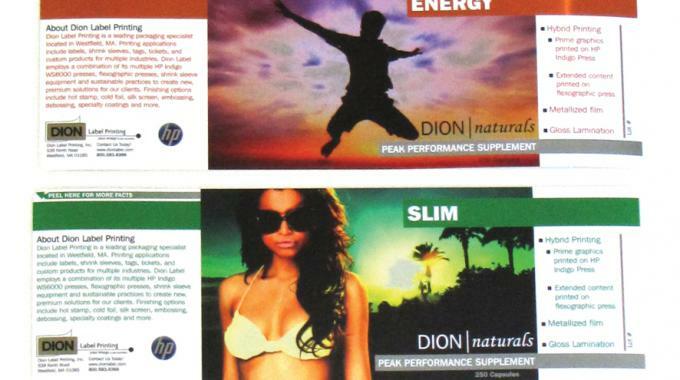 Since first installing an HP Indigo ws4000 press in 2005, Dion Label has printed over one billion labels digitally. By investing in digital technology at an early stage, Dion Label has established itself in a variety of smaller, more specialized markets, some with technical needs that require digital printing knowledge and expertise. The over-the-counter pharmaceutical, nutraceutical and medical markets make up a good piece of the business. It also produces labels for the food and beverage markets, private label candle companies and industrial applications. Dion Label runs two HP Indigo WS6000 digital presses, finishing on an ABG Digicon Series I and two Delta Industrial Mod-Tech lines, complemented by a series of narrow-web flexo presses. Jobs have been shifted to digital where this is a better fit, opening up analog capacity. At numerous Labelexpo Series conferences and Dscoop (Digital Solutions Cooperative) sessions in recent years, digital has been described as ‘much more predictable’ by veteran digital label printers, including Dion Label. Randy Duhaime, general manager, says, ‘When it comes to a more difficult job, there’s just more that can go wrong on the analog end with plates, inks, anilox rolls, waste and uptime. Analog could end up being double what was quoted. When it comes to digital, the set up is the set up. The majority of brands, all sizes and markets, are not ‘digitally aware’. It’s common to find brand managers, their marketing teams and label buyers with a bias against digital. They just don’t believe that the technology can meet their requirements for color matching, quality print and consistency. Dion Label encountered a situation with a client that passed digital tests for matching color, but once the buyer realized the order would be printed digital, they changed their mind and demanded flexo. Most recently Dion Label has invested in shrink sleeve converting and finishing capability. The converter had been looking at getting into the market for years and was outsourcing shrink sleeve label production for customers. It eventually started by printing shrink labels in-house and can now complete the sleeving as well. The incremental move was possible because of the economical entry-level package offered by Karlville that includes a seamer and inspection unit, software, and a steam box for prototyping and testing distortion. Right now Dion Label has limited orders to PETG film material only. Dion says, ‘It’s mostly what’s been asked for and PVC is not something that we want to bring into our plant.’ The converter has long recycled its solid waste with International Paper to be reprocessed into fuel pellets as an alternative to coal. PVC cannot be turned into energy pellets to burn. Dion Label would rather turn the business away, as it is typically a bit cheaper and higher volume, not the high value niche work it’s accustomed to. ‘We had to really work on the price and see our way to figuring out how to get it down,’ explains Dion. ‘Shrink typically runs on larger presses, but we’re able to achieve better print quality with analog flexo or digital. The labels are much more vibrant. And there’s no comparison in the registration and quality.’ The converter is able to print analog shrink sleeves for jobs wider than 13 inches – the width of the HP Indigo WS6000 machines – up to 16 inches on an MPS press, which is good for long run jobs of a couple hundred thousand feet. HP Indigo made its leap into the mid-web printed package market at drupa, announcing the development of two new lines with widths of 30 inches and 29.5 inches respectively designed for producing shorter runs of flexible packaging and folding cartons. Continues Dion, ‘If we make a successful foray into flexible package printing then this would be the natural first step, to operate and invest in tooling for such modern digital equipment. Through the digital upswing Santos, marketing manager, ultimately discovered new opportunities and potential customers with a great interest in foiling, hot stamping, multiple coatings and laminates, and it was a market that Dion Label wanted to delve further into. With its in-line analog equipment the converter could produce hot stamp and cold foil finishes, but had nothing for short run finishing with higher decoration techniques. In February 2012 Dion Label installed a monster of a machine with a customized fully servo Delta Mod-Tech that is completing work at speeds between 200-300 feet/min. The strength of the converting machinery supplier’s engineering breadth is apparent in every inch of the line. Dion’s new Mod-Tech has the first flatbed hot stamp unit and silk screen unit of their kind to be placed into the market, with software modified to suit the converter’s needs. The finishing unit has two line guides to support the long web path, a special lift for loading and unloading dies, a visual inspection camera, and sheeter that can be switched between both Delta machines. Already the converter has found value in printing an analog job of 145,000 feet to be sheeted on the Delta running at 275 feet/min. While prepress for digital printing is generally simpler, it does need to be automated, and Dion Label uses Labeltraxx MIS software to streamline the digital workflow. Dion Label's customer service is responsible for completing the initial job setup, including job specs and file names. Dion says, ‘Having the job specs completed earlier in the process helps in other areas along the way. 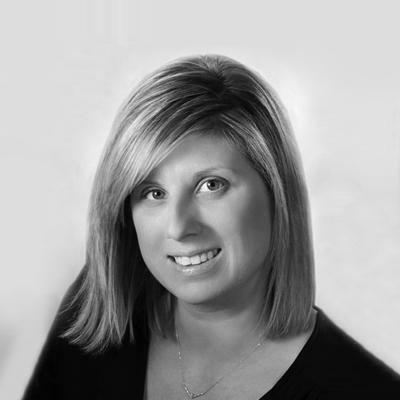 Files need to be defined correctly up front if we want efficiency.’ Intensive training has made the customer service team more technically knowledgeable. They’ve been taught, for instance, that it’s important to fill the print frame properly on the digital press for efficiency. Additionally, all of the file planning is completed up front: if the job has multiple SKU's, if it requires ganging with multiple items across, and this is all done by customer service. For exact repeat digital jobs the order is just sent along. Armed with this experience, a talented team, deep market knowledge, and a proven willingness to be an early adopter of advanced technology, the Massachusetts-based converter will continue to remain a leader of the pack in both North American and global label markets.